Get ready for the ultimate New Zealand explorer vacation, from the top of the country with beautiful Cape Reinga, you will head south all the way to Fiordland National Park and the majestic Milford Sound. Highlights of the North Island include snorkeling on the Coromandel Peninsula, taking a scenic flight over the beautiful Bay of Islands, and enjoying a wine tour in the famous Hawke's Bay region. In the south there is plenty of adventure to be had, explore the stunning coastline of Abel Tasman National Park, take a whale watching tour in Kaikoura, speed across the Dart River on a jet boat safari, and fly up over snow capped mountains to land on top of Franz Josef Glacier. 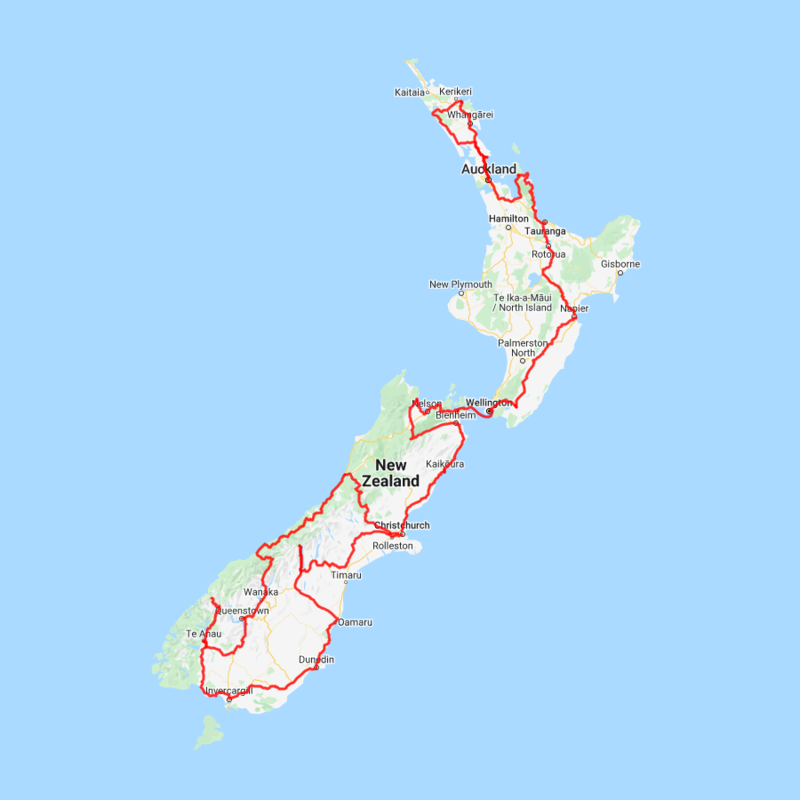 You can expect to spend around NZ$601 in fuel cost on this itinerary based on an intermediate sized car. Start your day in central Auckland, passing through The Domain and the heritage suburb of Ponsonby before heading over the Harbour Bridge to the North Shore. You'll stroll on Narrow Neck Beach in historic Devonport before summiting Mt Victoria, Auckland's highest volcano. Conclude the morning part of your tour with a visit to the fish market and yachting precinct - the Viaduct Harbour.Leave behind the bustle of the city and head northwest to taste the flavours of Auckland's Heritage Wine Region, Kumeu. Enjoy lunch at a contemporary vineyard restaurant, sample world renowned wines and marvel at the rugged surf-fringed coastline nearby. Your journey will also take you to one of the few mainland gannet nesting sites in the world situated on the Muriwai cliffs overlooking the Tasman Sea. Here you get a close-up of gannet behavior without disturbing their environment.